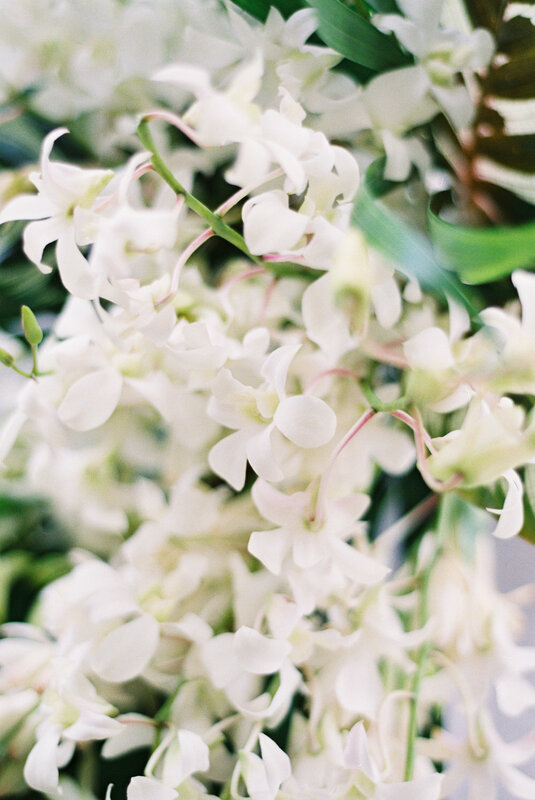 On my recent travels to Kona to visit the Big Island, I wanted to create wedding inspiration that celebrated Hawaii’s tropical environment. 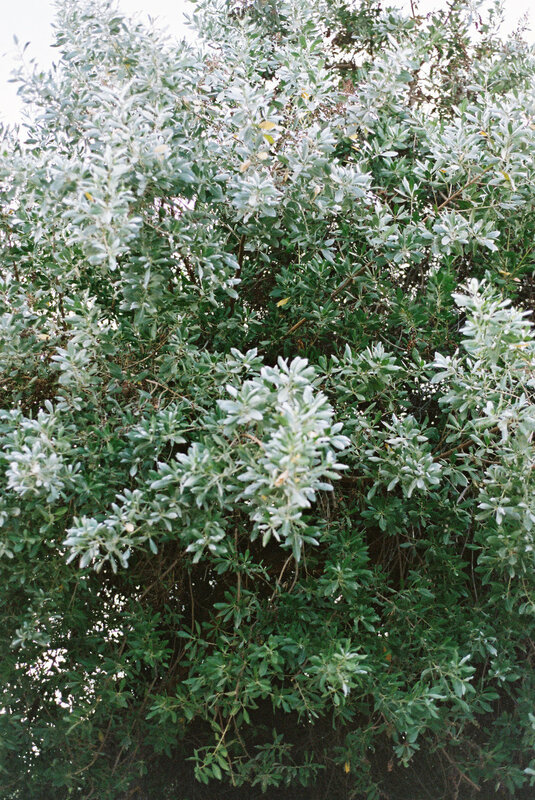 My inspiration came from the calming feeling of ocean waves, warm sunsets and romance of this incredible island destination. 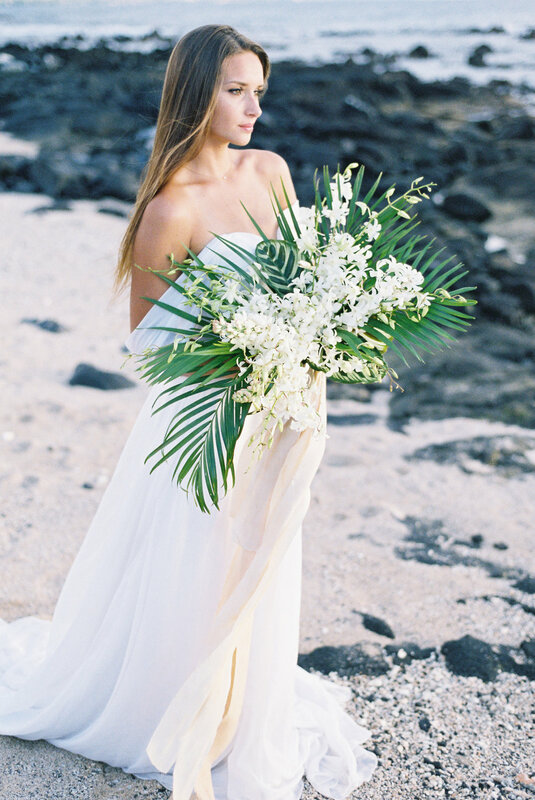 When planning this shoot from across the pond, it was important for me to source floral ingredients directly from the Big Island and work with a Hawaiian beauty to be our bride. 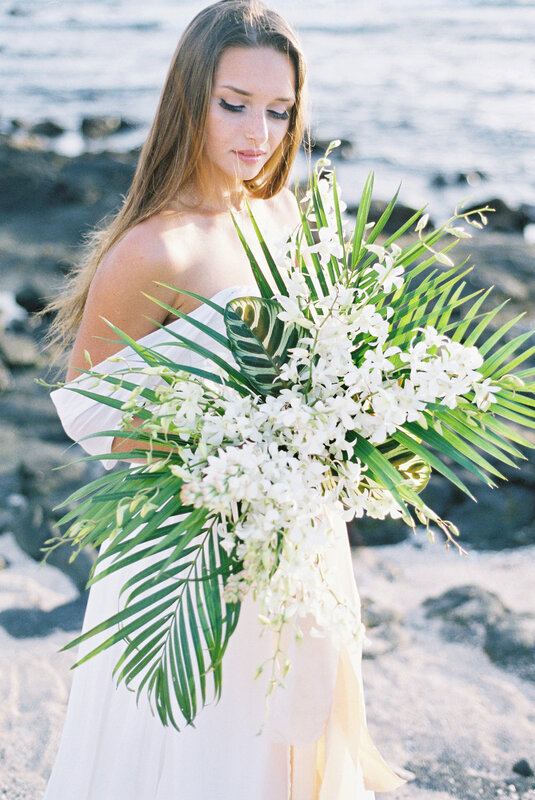 This photo shoot features a bridal bouquet and centerpiece with dendrobium orchids, fragrant tuberose, island greens and soft silk ribbons from Iris & Claire.